In this FLYING HIGH-ER, we briefly report about the progress of the Aero-SpacAgenda so far and demonstrate the opportunities for joining this movement. 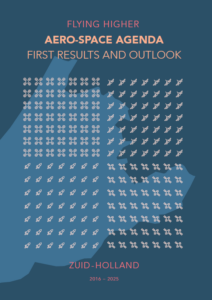 The Aero-Space agenda of Zuid-Holland formulates the ambition of the aero-space community to strengthen the ecosystem and ensure sustainable growth. It is developed by the industry, knowledge institutes, regional governments and InnovationQuarter. Improving cooperation and cross-pollination with other technology driven corporations within and outside the aero-space ecosystem is a major objective. 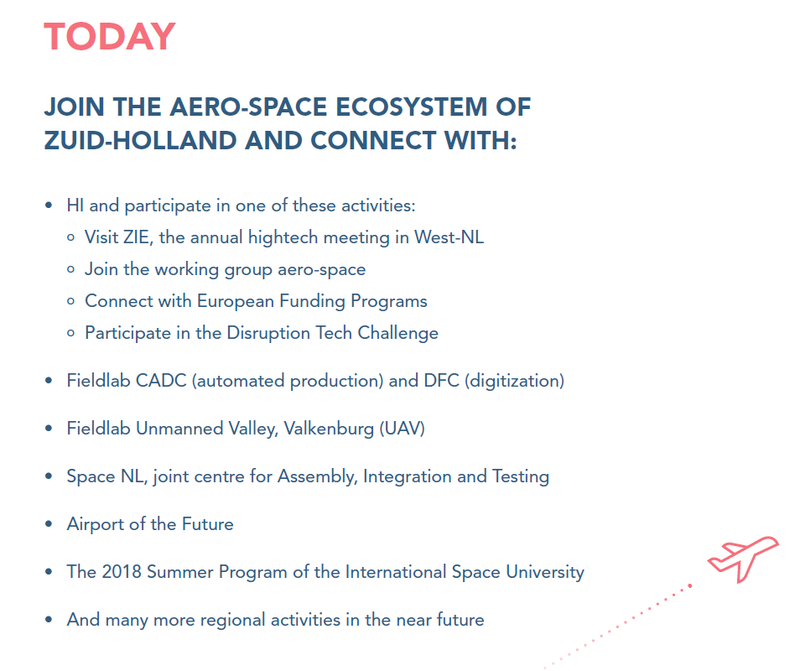 Zuid-Holland recognizes the importance of this movement and supports this ambition by funding JIPAS (Joint Industry Program for Aero-Space) by means of a grant from the MRDH (Metropolitan region Rotterdam The Hague) and the municipality of Delft.